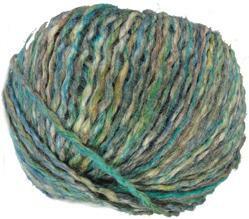 Rowan Silkystones DK yarn has a blend of 52% tussah silk and 48% linen in subtle colour-washed shades. Rowan Silkystones DK knitting yarn is hand washable at 30' and knits to a standard DK tension of 20 st/ 28 rows to 10cm on 4mm needles. 100m/ 109yds per 50g ball. 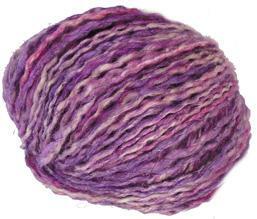 Rowan Silkystones DK 82 Pampas luxurious blend of 52% tussah silk and 48% linen, knits to a standard DK tension. 100m per 50g ball. 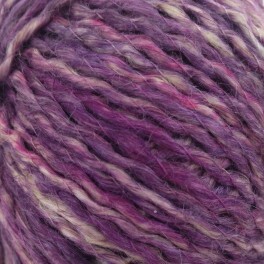 Rowan Silkystones DK 85 Cavern, luxurious blend of 52% tussah silk and 48% linen, knits to a standard DK tension. 100m per 50g ball. 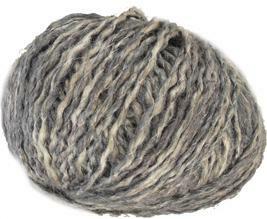 Rowan Silkystones DK 83 Grasslands luxurious blend of 52% tussah silk and 48% linen, knits to a standard DK tension. 100m per 50g ball. 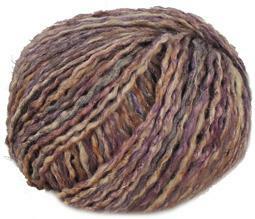 Rowan Silkystones DK 88 Dell luxurious blend of 52% tussah silk and 48% linen, knits to a standard DK tension. 100m per 50g ball. 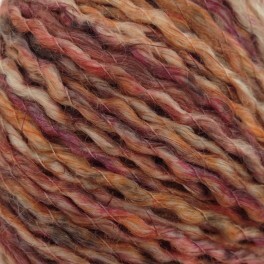 Rowan Silkystones DK 86 Glade luxurious blend of 52% tussah silk and 48% linen, knits to a standard DK tension. 100m per 50g ball. Rowan Silkystones Collection knitting book features a mixture of beautiful textured and easy to wear knitted and crochet garments. Photographed on the stunning south west coast of Spain, the imagery and designs showcase this wonderful tussah silk and linen yarn, within these 12 relaxed designs for women by Marie Wallin.